MOSCOW, July 4. /TASS/. 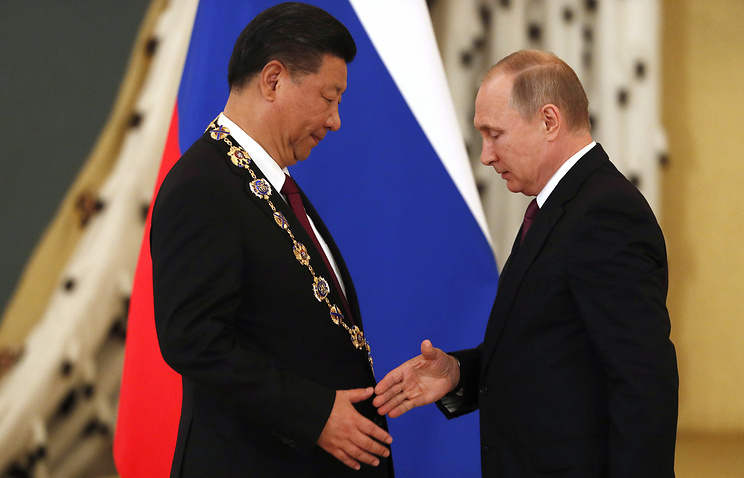 Russian President Vladimir Putin has presented Chinese leader Xi Jinping with the Order of St. Andrew. The ceremony took place in the Grand Kremlin Palace, where talks between the two leaders are being held. "This award shows that Russia recognizes your special contribution to the development of the comprehensive partnership and strategic cooperation between our countries, as well as to the strengthening of friendship between our peoples," Putin said addressing Xi Jinping and calling him his "dear friend." The Russian leader added that Xi Jinping "has always consistently supported close cooperation between Russia and China based on equality, mutual trust, openness and respect for each other’s interests." Putin pointed out that in 2013, Xi Jinping made his first foreign visit to Russia as Chinese president. "Such friendly moves are particularly important, we understand it well and value them," the Russian president said. According to him, "since then, the Russian-Chinese partnership has grown stronger and continues to develop." The Russian leader emphasized Xi Jinping’s support for the foremost projects in bilateral trade, economic, military and humanitarian spheres. "Interaction between our countries has received a significant boost on the international stage," Putin noted. The Order of St. Andrew the Apostle the First-Called, established by Russian Tsar Peter the Great in 1698, is Russia’s oldest state award. It was abolished in 1918, but restored in 1998 in line with a presidential decree. The Order of St. Andrew is Russia’s highest state award given to prominent statesmen, public figures and other citizens of the country who make significant contribution to Russia’s prosperity, greatness and glory. At the same time, heads of other states and foreign prime ministers can also be presented with the award for their distinguished services to Russia. 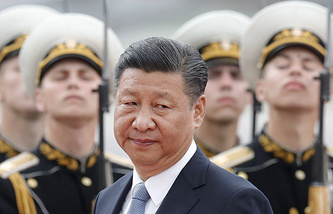 The Chinese president is the third foreign national to receive the order, following late Azerbaijani President Heydar Aliyev and Kazakhstan’s President Nursultan Nazarbayev.